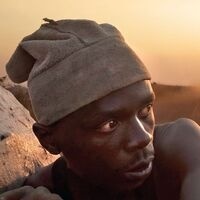 Winner of the Grand Prize Critics Week at the Cannes Film Festival, Makala tells the story of a young Congolese farmer's dreams of a better future for his loved ones. His only wealth lies in the strength of his arms, the bushland around him and his strong will. As he sets out on dangerous and exhausting adventures to trade the fruit of his work, he discovers the value of his effort and the price he must pay for his dreams. Sponsored by the Global Engagement Institute. Language: Swahili, French, Unrated. Free and open to the public. For more information, contact Sarah Knapp at (919) 515-3201 or seknapp@ncsu.edu.